A trio of South Wales based comedians guaranteeing great stand-up! 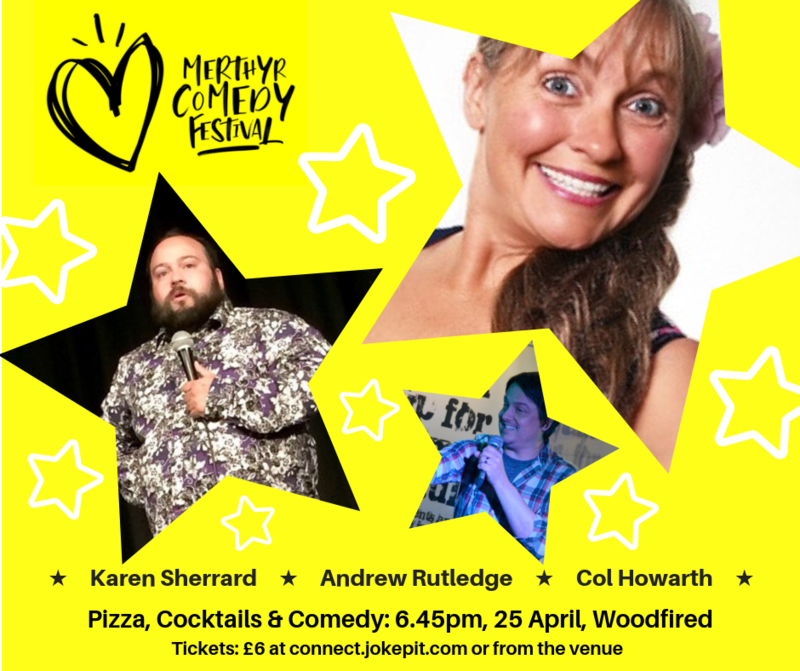 Join Karen Sherrard "a fully loaded machine gun of endless gags" (Mat Troy), Andrew Rutledge "damned funny" and "the real deal" (Clowns Pocket comedy) and Col Howarth "witty and intelligent, hilarious and cheeky with proper laugh out loud gags" (FringeReviews) for an early evening of outstanding stand up! Plus, enjoy a small pizza for £4 whilst cocktails are 2 for 1 all night!